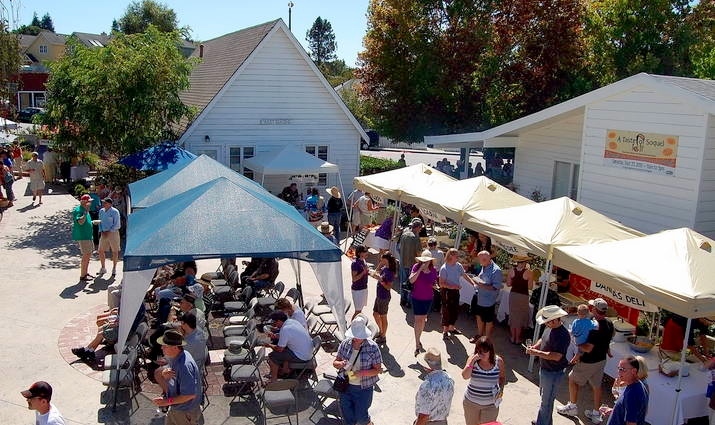 The third annual “A Taste of Soquel,” with plenty of food from local restaurants plus wine and music, will benefit Second Harvest Food Bank. Last year’s Taste of Soquel raised enough money to provide meals for over 20,000 children in Santa Cruz County. The event is Saturday, September 24 from 11am-4pm at the Congregational Church of Soquel. Local restaurants, wineries, and musicians are joining together for a very worthy cause. Adults pay $20 and receive a souvenir glass as well as food and wine tastings at all festival booths. Attendees ages 12-20 pay $10 and receive food booth tastings (there will be complimentary kids’ beverages). Kids under 12 are free. There will also be live music all day. For more information see event web site. You can buy tickets at the door or in advance via the church (4951 Soquel Drive, Soquel, (831) 475-2867). There will be a raffle with more than 50 prizes from local businesses– these tickets will only be sold at the event. Prizes include gift certificates to Safeway, Little People’s Store, Aldo’s Bakery, and Home Depot and items from businesses such as Starbucks and Everett Family Farms. Participating Soquel restaurants are Aldo’s, Carpo’s, El Chipotle, D’Anna’s Deli, The Fish Lady, Main Street Garden & Café, Sawasdee, Michael’s on Main and Tortilla Flats. Soquel’s Fogline Farm will also provide food. Participating local wineries are Bargetto Winery, Hunter Hill, Poetic Cellars, and Soquel Vineyards. KPIG DJ Ralph Anybody is emceeing the live musicians: Celina and the C Monkeys, Farmer’s Market String Band, Brian Quinn Group, and Bryn Loosley & the Back Pages. There will be children’s activities such as supervised games and crafts, face painting, and music. You’ll also want to stop by the hospitality table – it offers complimentary coffee, tea, lemonade, ice water, and food from the Bagelry and Donut Station. Please follow me on Twitter @santacruzfoodie.